Avid has been previewing Pro Tools 2019, the latest version of its DAW, which remains the choice of professionals around the globe. Topping the list of new features is a doubling of the MIDI track count - you can now run up to 1,024 rather than ‘only’ 512. 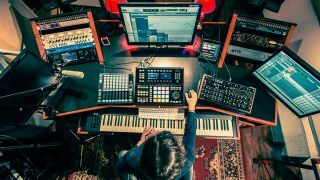 You might wonder why you’d ever need quite so many, but if you’re creating film scores, the tracks can soon mount up, so those working in this field can now feel confident that they should never hit a ceiling. A more fluid workflow is promised, too. Pro Tools 2019 enables you to interact with and update tracks and timeline sections during playback, so you can experiment with effects, presets, loop points, etc, without ever stopping the music. As such, your creativity can flourish uninterrupted. There are smarter housekeeping features as well - you can now name tracks as you create them, and if you don’t give a track a name, Pro Tools will automatically create a default one for you. There’s also compatibility with MacOS Mojave (10.14), the latest version of Apple’s operating system. Pro Tools 2019 is expected to be released in the second quarter of this year. Find out more on the Avid website.